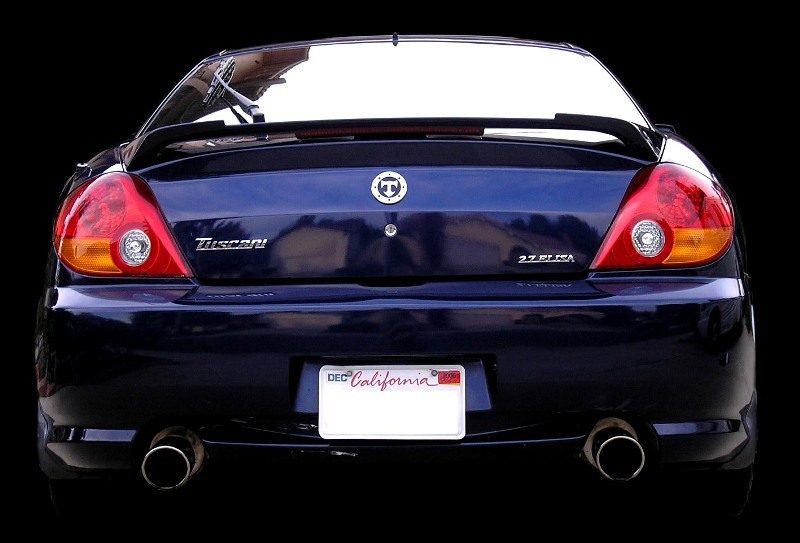 Original KDM "Tuscani" badging is a unique way to bring some exclusivity to your Tiburon. 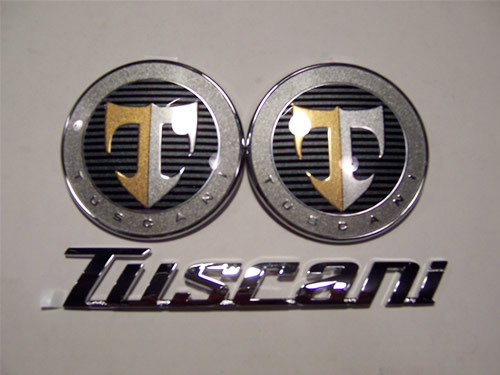 Includes 2x round Tuscani emblems, 1x Tuscani lettering and 1x 2.7 Elisa lettering. 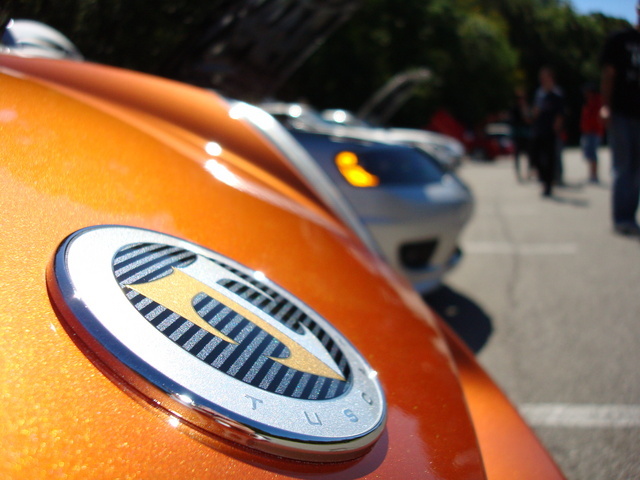 The round emblems replace the "H" logos on the hood and trunk, the Tuscani lettering replace the Tiburon on the trunk and the 2.7 Elisa completes the set. . OEM products mean perfect quality and fitment.